Absence of earmarked, designated dumping site for four-lane highway being constructed between Nagchala and Manali, has raised serious environmental concerns. Furthermore, it has raised a question on the functioning of the National Highway Authority of India. The construction of the stretch of four-lane is around 110 kms will also have construction of tunnels. Four-lane Joint Action Committee (JAC) president Brigadier Khushal Thakur (Retd) said that the absence of proper designated landfill to dump the debris has come to light in the recent meeting held in Mandi with the Chief Minister Jai Ram Thakur to resolve the issues of the four-lane affected families. Kushal Thakur has been raising the issues of the affected families owing to the project since the last few tears. He blamed the NHA of flouting the norms not only in the concerns of those being affected by the project, but also for haphazardly dumping the debris along the Beas River along the highway. 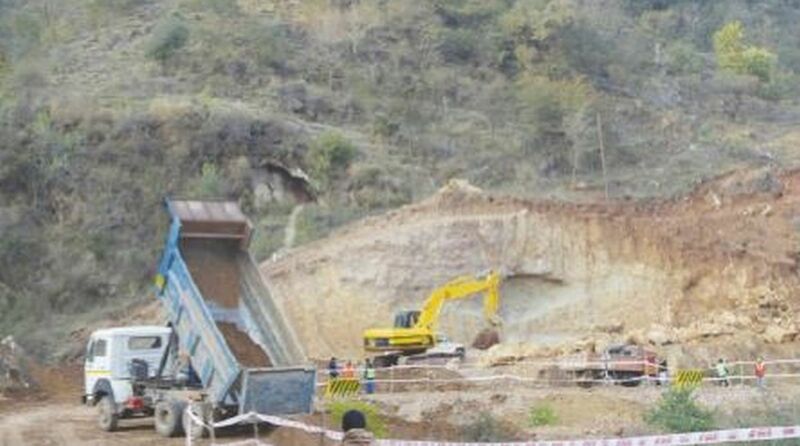 To dispose the debris there is no official designated dumping site created by NHA which has raised doubts on the clearance the four-laning project, he said. The recent flooding in the Beas river is the impinge of the haphazard muck and debris dumping in the Beas river that led to devastation on 23 September during heavy rains, blamed the Samiti. It also affected electricity generation in the Larji project due to silting, shutting down of drinking water scheme to Mandi town, besides debris flooding into the fields of the farmers. The environment degradation is also affecting the tourism industry in the area, maintained the Samiti underlining the need for minimum damage to the natural beauty while undertaking developmental projects so that the natural beauty is protected.